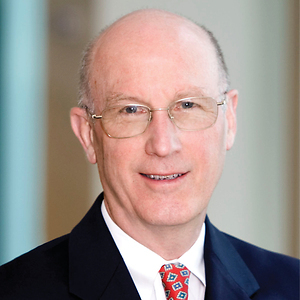 Charles S. McDowell, a retired Potter Anderson partner and former chair of the firm's Business Group, practiced in the area of business and finance transactions. He led the firm's Public Finance section. His representations included governmental, quasi-governmental and private entities, including 501(c)(3) non-profit organizations which are eligible for tax exempt financing. Under his leadership, the firm served as bond counsel or underwriter's counsel on transactions for the State of Delaware, all of the State's bond issuing authorities, all three counties, all major municipalities in the State, as well as the Delaware River & Bay Authority. Charlie is an Emeritus member of the Delaware Bar. Counsel to the Delaware Health Facilities Authority and served as bond counsel on financings for all of the State's hospitals. Charlie has held various leadership positions in the Delaware State Bar Association, including serving as president (2003-2004). He also served as chair of the DSBA Committee for Diversity in the Legal Profession which, among other things, established the Louis Redding Fellowship, a special summer clerkship for first year minority law students. This Committee also sponsors annual Minority Job Fairs for law students as well as a Supplemental Bar Review Program designed to assist law students in preparing for the Delaware Bar Exam. Charlie is the current CEO of EastSide Community Learning Center Foundation which supports EastSide Charter School (of which he is the former Board Chair) and Charter School of New Castle (of which he is a director and former Board President), both urban charter schools serving pre-K to 8th grade students. He is the Board Chair of Riverside Renaissance Development Corporation heading up a significant neighborhood revitalization initiative. In the past he has also served on the Boards of Delaware State University, Delaware's historically black university; Zip Code Wilmington, Inc.; the Delaware Bar Foundation and Delaware State Bar Insurance Services, Inc. (of which he was a founding director and longtime President). He is also a former director of WHYY, Inc. (Delaware Valley Public TV and Radio), Delaware Theater Company, Delaware Curative Workshop and New Castle County Economic Development Corporation. Charlie has received the Delaware Barristers Association’s 2014 “Excellence in Education Award” and the Delaware State Bar Association’s 2016 First State Distinguished Service Award for “exemplary leadership and service dedicated to the cause of good citizenship in civic and humanitarian service over a period of many years”; and in 2018 EastSide Charter’s Early Learning Academy was renamed the “Charles S. McDowell Early Learning Academy” in his honor. In 2005 Charlie was elected as a Fellow of the American College of Bond Counsel.